Darkness slightly loomed at Amari Johor Bahru hotel on the 30th of March, Saturday from 8.30pm to 9.30pm as it joined the Earth Hour movement under their CSR effort. 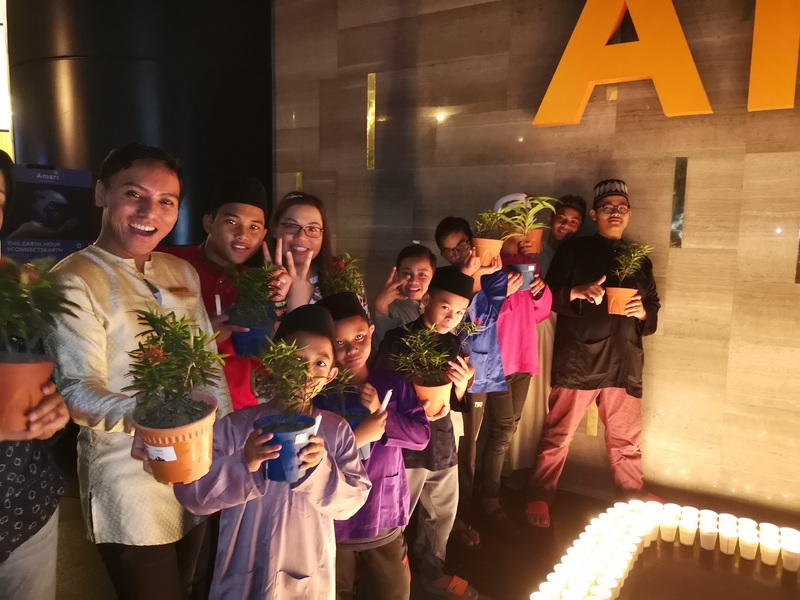 40 children from Pertubuhan Kebajikan Fitrah Kasih, a shelter for homeless children were invited to join the celebration and they were given saplings to plant in the garden of their shelter home as a continuous effort on sustainability and keeping mother earth green. Amari’s Director of Marketing Communications, M.S. Bobby, gave a talk to the children about the importance of Earth Earth Hour, world’s largest global climate change initiative before they were treated to a buffet dinner at Amaya Food Gallery with lights off and lit with candles during the hour of celebration. Non-essential lights were switched off for the particular hour and Amari prepared letters in all their rooms to inform hotel guests to do the same and also as invitation to join in the merriment at the restaurants and Dip Bar for some candlelight dinner. This is the second year for Amari to organise the Earth Hour event since its inception back in May 2017. Amari joins in the effort called Connect2Earth, and Earth Hour calls for every individual, business and community throughout the world to take action on global conversation. Earth Hour was first done in 2007 in Sydney, Australia which then led by WWF annually.